It’s so important for children, especially boys, to feel comfortable and confident in the kitchen. I try to give Jack as much opportunity to cook with me in the kitchen as possible. Really cook with me, chop food, use the grater, mix, pour, read recipes. This way hopefully when he is all grown up and moves out he’ll know how to prepare good food for himself. All the recipes I share on here are ones Jack and I cook together. This biscuit recipe is one of our favourites. We have baked them so often that Jack pretty much knows the recipe by heart. I love a simple recipe that I can whip up in no time and Jack can help. 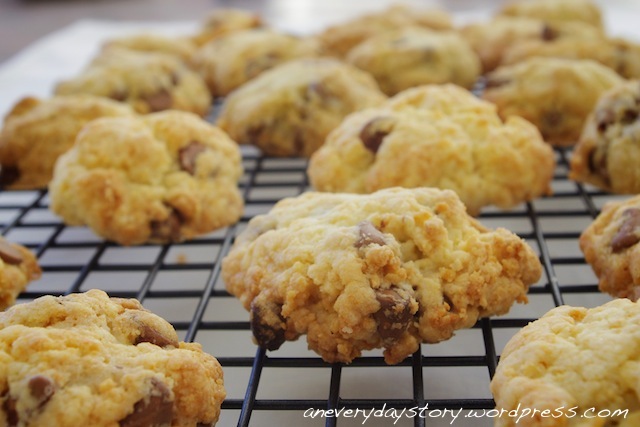 The basic biscuit dough can be used for plain butter biscuits, or add a dollop of jam for jam drops, or in this case, deliciously crumbly choc-chip cookies. Perfect for morning tea with a cup of milk. Cream the butter, sugar and vanilla with an electric beater until pale and creamy. Slowly add the egg and mix until combined. 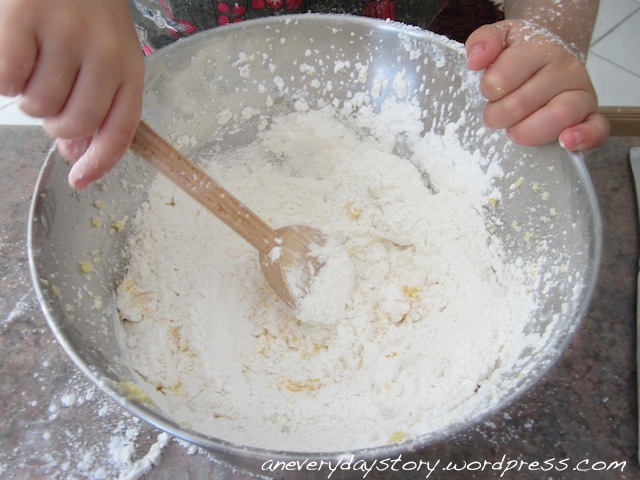 Combine the plain and self-raising flour. Sift over the butter mixture. Add one tablespoon of milk and mix until it just comes together. 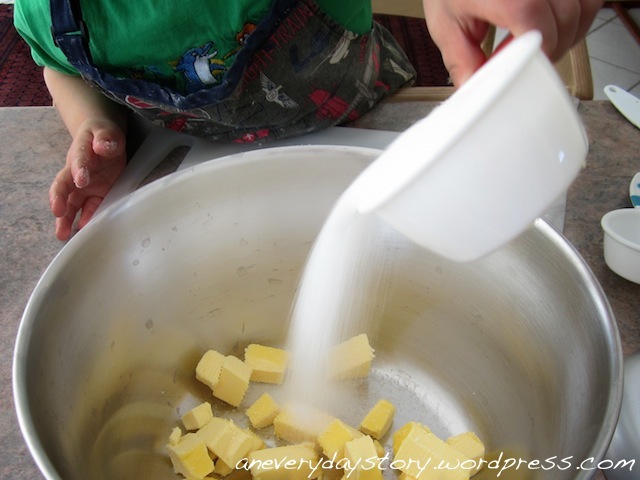 If the mixture is too dry, add another tablespoon of milk. 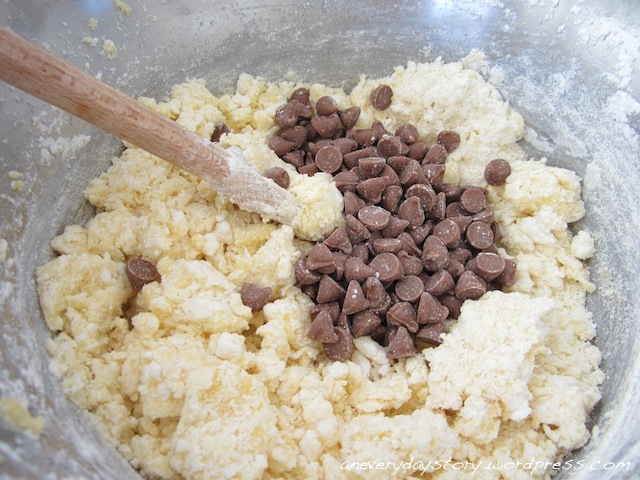 When it has just come together, add the choc-chips. Roll into small balls and place on a lined baking tray. Cook for about 15-18 minutes or until golden brown. Simple and delicious. 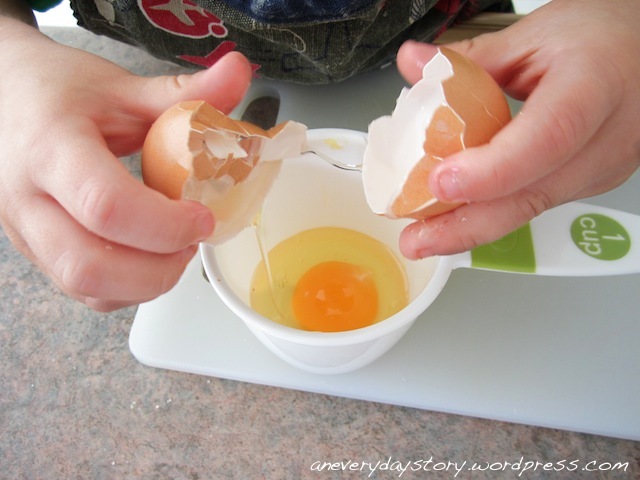 On another note, this was the first time Jack managed to crack an egg without getting any shell in the cup. He was so proud of himself. Serve them up with a glass of warm milk for a delicious morning tea. 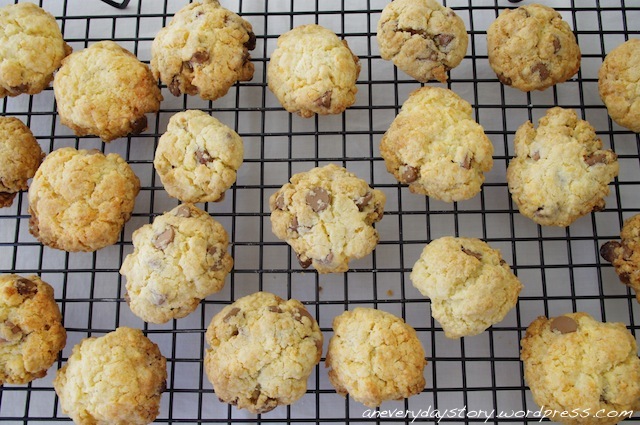 today we have tried your cookies, but instead of chocolate we used raisins, cereals and coconut, absolutely delicious!! Oh I am so glad you liked them. 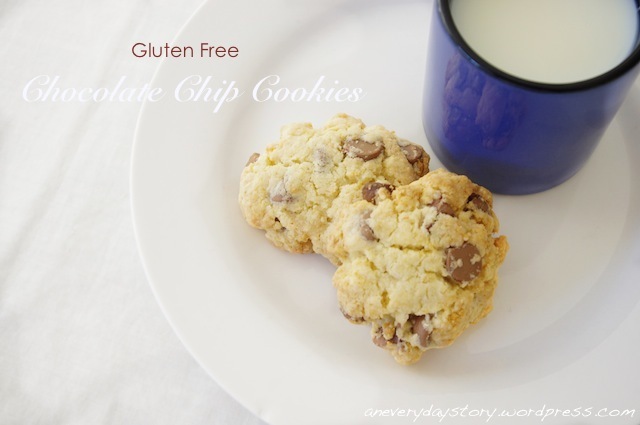 They are so yummy and so easy to make, aren’t they?